Destination . . . Willey Farms! – Shop Local! Since starting out as a small local farm, Willey Farms has continued to support local growers and producers whenever we can. Buying from Willey Farms is just like buying from your local farm stand because when local produce comes into season, we’re happy to make it available to our customers. After a dark, cold winter, everyone is always ready for spring, and by April local produce like asparagus, turnips and spinach start to arrive. By May, green onions, leaf lettuce, peas, radishes, parsley and sugar peas appear. Sometime in June you will start to see blueberries, cucumbers, new potatoes, strawberries, blackberries, snap beans, sugar peas, and sweet corn. The mid-summer heat of July announces the addition of cantaloupe, peaches, eggplant, lima beans, squash, tomatoes and watermelon to the produce floor. Many of these tasty favorites continue to produce through the dog days of August with peppers being added to the list. By this time, lots of folks are thinking about fall and September is when you’ll start to see collard greens, pumpkins, gourds, corn stalks, sweet potatoes and turnip greens added to the mix. By the time October rolls around, many of the warm weather fruits and vegetables start to wind down their season and the cool weather veggies like Brussels sprouts, cabbage, cauliflower, kale, spinach and turnip greens wrap up the local availabilities. Some of the local growers/producers like Clayton Farms in Denton and Godfrey Farms in Sudlersville, and Herring Run Farm in Galena, have a variety of fruits, vegetables and meats to sell us. Others, like Fairview Farm in Townsend concentrate on a single product like providing pumpkins for us in the fall. But the local connection does not stop at produce. 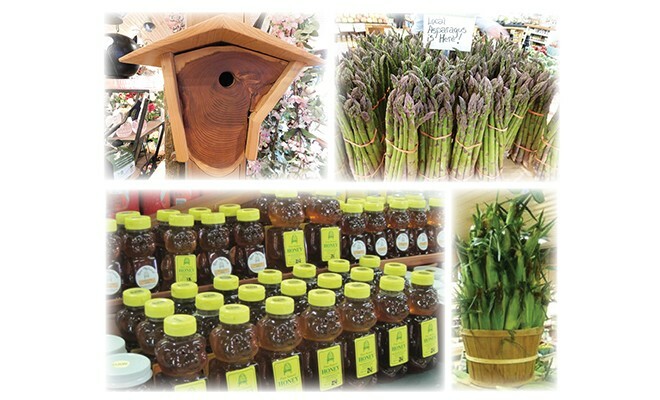 In the Naturals and Grocery departments, we support quite a number of local producers of honey like Bee Natural in Smyrna, Really Raw Honey and Delaware Bay Bees in Magnolia. Powers Farm right in Townsend provides their popular brown eggs and pork products. In our beauty and personal hygiene area, we carry a wonderfully, aromatic variety of handmade soaps and lotions made by local artisans from Delmar and Elkton. And, Alaska Wild doesn’t sound local, but the owner lives in Delaware and distributes the fish he catches in Alaska, right here too. Our local entrepreneurs are very creative and we’re proud to be a part of their success. In Home Accents, not only do we have a beautiful array of gifts and home décor but we also have Corn Bags which are made by a lovely lady named Quinn in Middletown. They are a wonderful way to apply heat to your aches and pains by first putting the corn bag in the microwave for a couple minutes and then applying it to the effected arm, leg or elbow! Or, you can pop it in the freezer to treat an injury or relieve a fever. Elsewhere in Home Accents, some local candle makers have been very creative and provided candles that look like pastries. You don’t know whether to light them or eat them! And many of the antiques used for display purposes, and also for sale, come from local auctions in the tri-state area. As we move out into the Garden Center area, there is a gentleman from Townsend that brings us beautiful birdhouses that he has made with wood from fallen trees and old fence posts. They’re locally made and one of a kind masterpieces! So you can see as you walk through the market, the local influence is everywhere and we are proud to continue that tradition which started over 40 years ago. 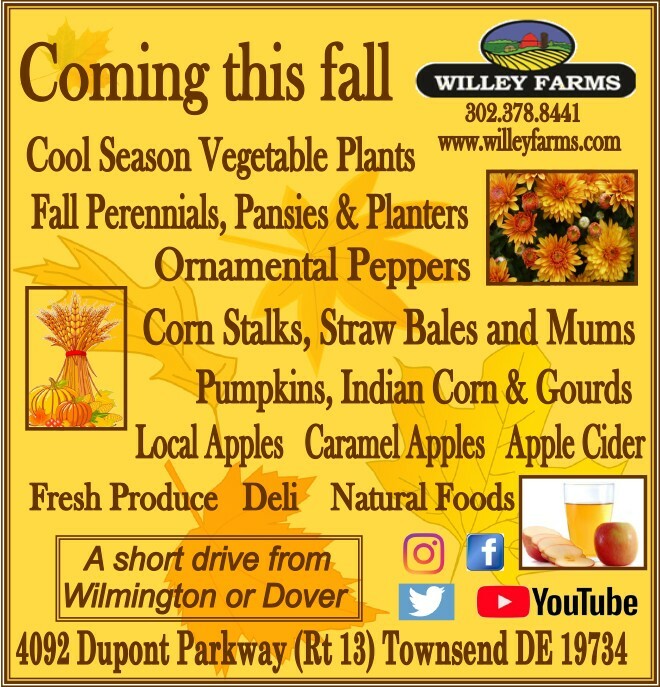 Though it didn’t start out that way, Willey Farms is open all year and provides most of these fruits and vegetables year round. There’s just something about the taste of fresh in-season, local fruits and vegetables. There’s nothing like it and it’s what makes summer such a special season. We’re proud to support our local growers and provide it whenever we can.